The following comments about attractions in Leeds have been posted from individuals. We believe that the best reviews of Leeds, England are written by travellers and holiday makers who have experienced Leeds first hand and want to share their thoughts. Can you share yours? Please help us expand this section of our Leeds World Guide. 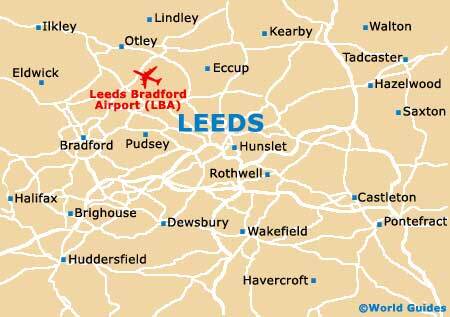 Let us know what you think about the attractions in Leeds, England. Submit comments about Leeds attractions here. If you come to Kirkgate Market you will find that this is not only a good place to come for shopping, but also to appreciate some fine Victorian architecture. It really is a very nice building with a lot of character. It is really big and is actually the biggest indoor market in Europe, so you can expect to find a lot of stuff here to choose from. I found the best shops were located in the Old Hall. There was also an outdoor market with some good bargains, along with some cheap and cheerful rubbish and nice looking food. Leeds Town Hall is on park lane and was built in 1858, and actually opened by Queen Victoria - I can only imagine what a big celebration it must have been on that day. It is still a really grand building and was immediately a symbol for the city's part in the industrial revolution - showing its wealth. It was the tallest building in Leeds for over 100 years and is now used for offices for the loval government, as a police station, as a courtroom, and to host various concerts and big city events. We were told that some kestrels had successfully nested here recently and became quite a local sight, on the news and that. Granary Wharf enjoys a rather nice waterfront setting and has a nice lot of shops. This is a really lively spot, particularly at the weekend, when the Festival Market takes place. It has a nice place to hang out, with a lot of street entertainers providing pleasant distractions. There were also some really food crafts shops, selling some nice gifts - things that were a bit different from the usuall. Nice alternatives. There were river cruises nearby which looked good, although sadly we didn't have the time. Please note that these Leeds, England comments and reviews are posted by individuals and are not necessarily the views of World Guides.